After college and going out into the real world, I have met so many different people from all walks of life. Through conversations and various social gatherings, it always amazes me to see where they come from, and how they differ from myself. One thing that has absolutely shocked me through these interactions was learning that so many people have never used Microsoft Excel before! I know, I know – that’s something pretty silly to observe, but for me at least, it was so crazy because I personally use it every day to manage my entire life. From long term life management to even relatively simple tasks, I find so many great ways to use Excel in my everyday life. It’s not something to be overlooked, especially if you are the type of person who already uses your computer often. Before I begin though, I just want to point out that if you’re having trouble getting started like I was, then you should check out Excel Jet. It’s a great site that helps explain all sorts of Excel concepts and features, from the very basic commands to more complex applications. Even the most advanced Excel users can learn something new there. Anyway, let’s get back to explaining just how everyday people like you can use Excel. The reason I first started incorporating Excel into my daily life was to track my savings accounts. Not only can I easily list and store my monthly savings account balance, but I can graph it too using Excel’s easy-to-use graphing interface! I can see how fast my account is growing, and it visually helps to ensure not only that my balance is growing, but that it is not slowing down and ideally speeding up! Eventually I began tracking my monthly interest from said account as well. Graphing how much free money my bank gave me via interest over time was such a huge motivator, seeing how my monthly interest began at only a few dollars, but has steadily risen to over $30 a month! It only made me want to maintain and continue to build up my savings account to see my savings and monthly interest grow even more! I also use Excel simply to store critical information. And that does not mean passwords only either. I store anything that is important info and knowledge that I will need to refer to in the future. Things like key dates – for example I write down the month that I need to renew my car registration, which is something that I almost always forgot before storing the information down. I also store when my company’s open enrollment period begins and end, another key date I always had forgotten. Because all this information is on a single Excel spreadsheet that I constantly open, it is a natural way to remind myself of key dates well before they arrive. 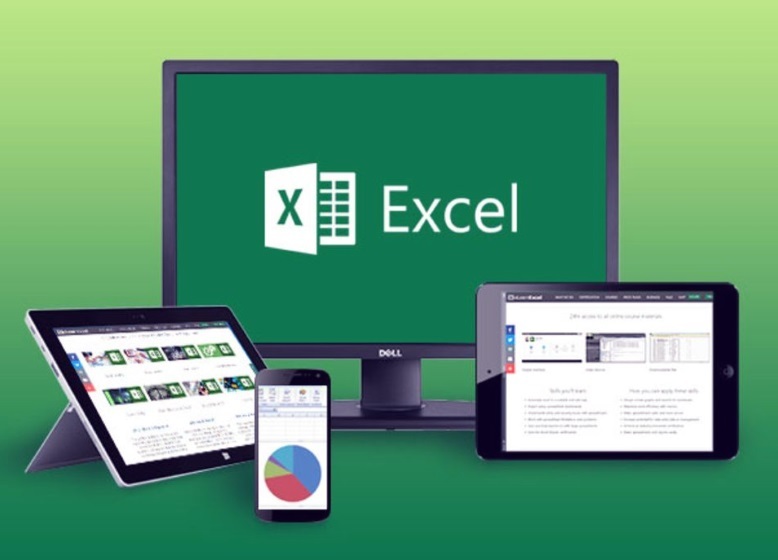 As a side note, many of you may be wondering why Excel is so great, especially because of other products such as Microsoft Word that you can also use for organizing and storing information, especially if you are more familiar with Word in general (as it is typically the more readily used Microsoft product overall). The reason is simply the defining feature of Excel: the use of cells. Cells allow for an easy and efficient way to record data, in both the x direction and the y direction. Navigating to and editing cells is as easy as using your arrow keys and then typing once you are highlighting the cell you want. It’s that simple! Add in the fact that a rows and columns of cells can easily be adjusted by a simple double-click, and you can see how Excel is the ultimate way to store and easily view data. And I’ll admit that using Word is great for when you need to write out long paragraphs in full and write essays and things of that nature. But when it comes to storing data, the interface is not as easy. Storing information on new rows is admittedly just a tap of the Enter key, but when you need to start entering information horizontally, the need for cells becomes much more obvious, as you need a way to quickly access each “column” without using your mouse to move your cursor to the exact spot you need. At that point, you should just add a table in Word, but even those tables are inferior to Excel which has its entirely functionality based on and optimized around cells (i.e. creating tables). Another big thing that Excel is for is statistical analysis and general high-mathematics applications. While not a technical person myself, I can attest through my husband that using Excel greatly simplifies your work if you are an engineer, a banker or anyone that uses numbers daily. It can calculate key values and formulas for you easily and succinctly, and provide higher-level statistical analysis if necessary, not to mention the graphing capabilities I mentioned earlier. And if you are a big fan of daily fantasy football (DFS) like my brother was for a few years, Excel is a great way to start working with numbers and coming up with optimal lineups. The “Sort” and “Filter” tools are especially useful for this! Lastly, what really is the finishing touch that makes me love Excel so much is how easy it is to color code anything and everything that you need to. Not only can you color each individual cell whatever color that you want, but you can even color code the text of each cell. This means that you have two different ways to visually mark each cell for easy viewing, making it easier to understand the data you are looking at with a quick glance. Visually spatial people like myself will love this feature of Excel! No matter your background, you can always find ways to use Excel to manage, if not outright enhance your life. Hopefully my words were insightful and has encouraged some of you to try using Excel in your daily life. It has genuinely changed my life for the better and I know it can have the same effect on you guys as well. In any case, thanks for reading, and have a nice day guys!